Is the bird flu evolving? The bird flu is changing, but not in the Darwinian sense that it will become something other than an influenza virus. It is not evidence that particles can turn into people. “Bird flu ‘could take 142m [million] lives’”1; “France reports first possible case of the bird flu”2; and “Genes make bird flu virus deadly, study says”3—these are recent headlines from some of the world’s largest news organizations’ web pages, concerning a bird virus that is now found to infect humans. Domesticated birds have become the agent by which the virus is spread to humans. Scary stuff—but we all know we can’t believe everything we read. So, with all these somewhat ominous and disconcerting news flashes, what should we believe about the possibly impending pandemic of the dreaded “bird flu”? What is it? How is it spreading so quickly? Is it really evolving? “Bird flu” is a popular term for “avian influenza,” a term used to refer to an infection caused by any of the known avian influenza viruses. Humans may be infected with viruses that come from each of the three known influenza (flu) types (A, B and C); however, viruses of type A flu have the widest range of host organisms, including people, pigs, horses and birds (the natural host for these viruses). Bird flu viruses are all type A flu viruses. The genetic code for the type A flu virus is broken up into eight separate segments, each coding for one or more proteins. Two of the segments code for the proteins hemagglutinin (HA) and neuraminidase (NA), which reside on the surface of the virus and are essential if the virus is going to infect a host cell. It is these two proteins (HA and NA) that a host immune system produces antibodies (the molecules which recognize and attack foreign materials in the body) against during infection or vaccination. Why Has It Spread So Quickly? Such mutations do not impose any type of new ability to the virus; they basically change the way they appear to the host organism. Although humans and domestic birds (e.g., chickens) infected with bird flu are stricken with a variety of symptoms, wild birds (e.g., ducks and geese) can carry it in the intestinal tract many times without occurrence of any symptoms. This fact, along with the fact that infection may be transmitted by contact with infected birds (or bird waste), contributes to the high speed at which infections among domestic birds may occur; and may be why outbreaks among birds are difficult to contain. Because of the possible risk of infection from bird to human, outbreaks among domestic birds are of concern. However, the usual ways by which we protect ourselves from some viruses (i.e., vaccination) may not work due to the genetic variability of type A flu viruses. Usually, once the immune system has had contact with a virus by either vaccination or infection, the body produces antibodies to be ready for the virus should it ever try to enter the body again. However, the segmented nature of the type A flu virus’ genetic code allows mixing of genetic material between strains when two or more strains infect the same cell. This type of genetic “mixing” allows a virus strain, which a host has developed immunity against, to swap its genetic information with that of other strains which may not be able to infect the host by themselves. This may potentially produce a strain of virus which can infect a human population which is without protection from either vaccination or immunity built up from previous exposure to the virus. 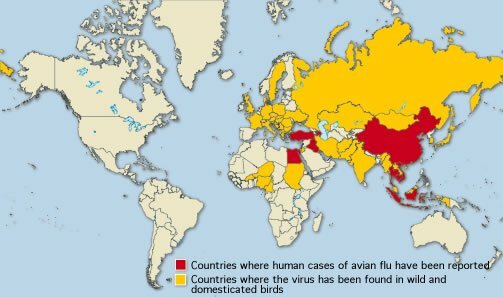 This map shows the recent extent (as of April 21, 2006) to which the bird flu virus has spread to wild and domestic birds as well as humans. Likewise, the accumulation of smaller genetic changes in the virus’ genetic code can affect how the virus interacts with the host. One way this occurs is via mutation of particular virus proteins. Since antibodies are designed to recognize specific parts of virus proteins, small mutations in the genes that code for the proteins can lead to changes that mask the virus from the host immune system. While this may indeed allow the virus to escape detection, this type of genetic modification occurs by random mutation and does not change the functions of the proteins involved, which are essential to its survival. Since viruses have the ability to replicate many times over within very short periods of time, they have the luxury of such hit-or-miss type genetic changes. Keep in mind that such mutations do not impose any type of new ability to the virus; they basically change the way they appear to the host organism. Simply, this is another case of natural selection, an observable process that operates on existing genetic information. 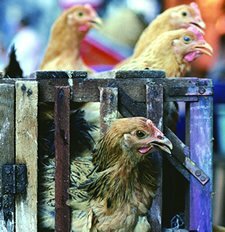 Is the “Bird Flu” Evolving? The word evolution has certainly been given a biological stigma in the last century. It’s hard to use “evolve” in any biological context without it being interpreted in the Darwinian sense of the term. 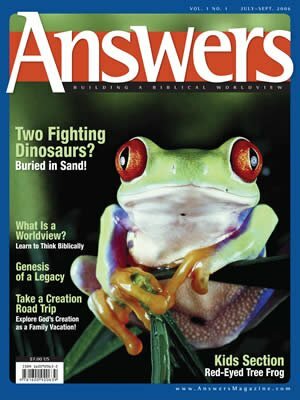 So, are the mechanisms that bird flu uses to spread and escape extermination considered evolution? It is plain to see that the genetic code of bird flu viruses does not stay the same but is constantly mutating and rearranging. Because virus proteins interact with proteins in the cells they infect, changes in the viral protein can and do have effects on what type of cells can be infected and how it affects the host. 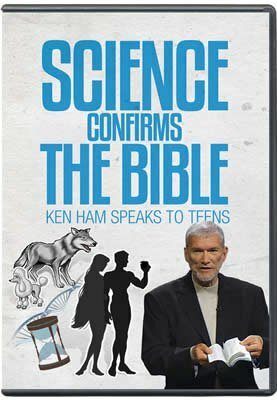 So what should one say if asked, “Is the ‘bird flu’ evolving?” It could be said that the bird flu is continually changing and modifying, but not in the Darwinian sense that it will at some point become something other than an influenza virus (i.e., it is not evidence that particles can turn into people). Yes, influenza viruses do possess a certain degree of genetic “wiggle room.” However, the amount of genetic information that a virus can carry is extremely limited, and so are the changes that can be made to its genome before it can no longer function. What Can Be Done to Prepare for a Possible Pandemic? Store water and food since stores may be temporarily out or closed. Have nonprescription medications and other health supplies on hand. Talk with elderly or handicapped loved ones. Determine their special needs (oxygen, insulin, etc.) and urge them to maintain at least 2–4 weeks supply. Teach children to wash hands frequently with soap and water. Teach children to cover coughs and sneezes with tissues. Teach children to stay away from others as much as possible if they are sick. Stay away from work and school if sick. Bird flu could take 142m lives, CNN.com, February 16, 2006. Tests find bird flu in France, Egypt, MSNBC.com, February 17, 2006. Genes make bird flu virus deadly, study finds, MSNBC.com, January 26, 2006. Avian Influenza Infection in Humans, Centers for Disease Control and Prevention, April 24, 2006.